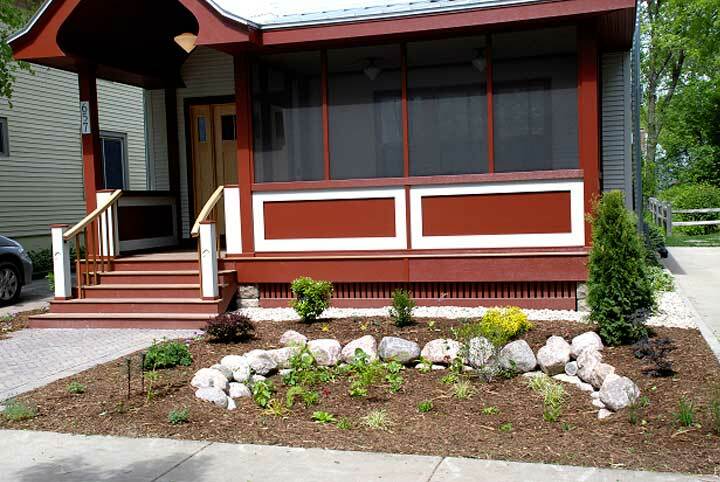 Rain gardens are a great way to turn your drainage problems into beautiful gardens. A rain garden is a garden that has been excavated and refilled with a specially mixed soil to speed water absorption. Plants are selected for their ability to be submerged in water or grow in dry soils. These plants typically have deep root systems that further speed water absorption. The advantage that rain gardens have over French drains is that as the rain garden depression slowly silts in, the plants can adapt and grow upwards and keep the system working. A French Drain slowly silts in and is no longer functional. Rain gardens are a way to solve a drainage problem and create an attractive garden when there is nowhere to send your run-off water.